Hi guys. 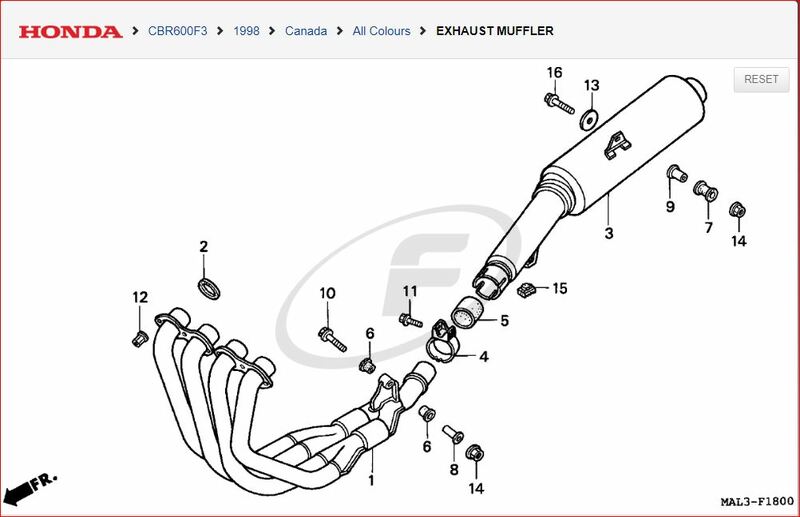 I'm searching for a genuine exhaust for my cbr 600 f3 (1998). I found one but it is from a year 2000 cbr 600f. Can i put that on my 1998? Thank you. 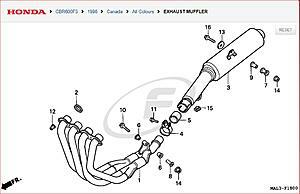 I just have to replace not the pipes, just the terminal muffler. 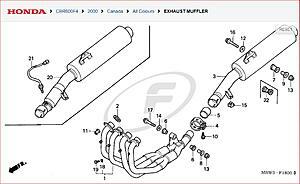 Hi , as you can see the muffler is slightly different with the brackets on top and underneath. Really bad news.. 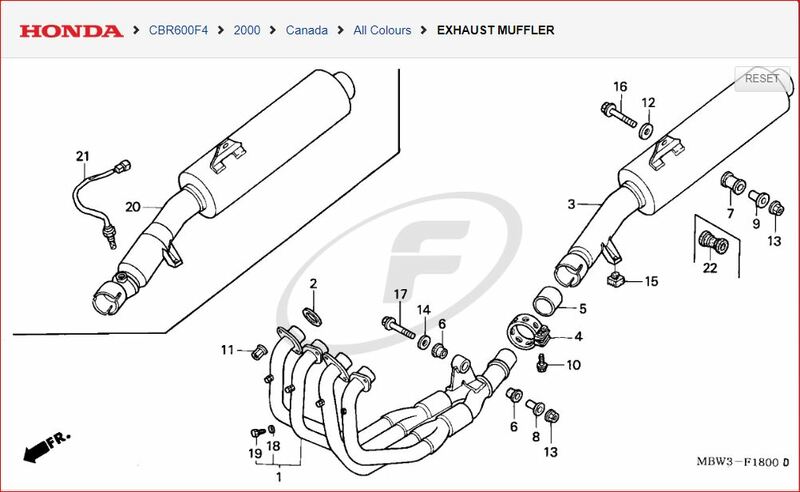 The OEM muffler for a 1998 f3 is really hard to find. where did you find that sheets? Last edited by jacopastorius; 06-25-2018 at 07:23 AM. it sounds not so difficult operation... how can i adapt the other bracket?